What is symbolized when peace comes to rest on the shoulder of a clown? What is symbolized when peace comes to rest on the shoulder of a clown? 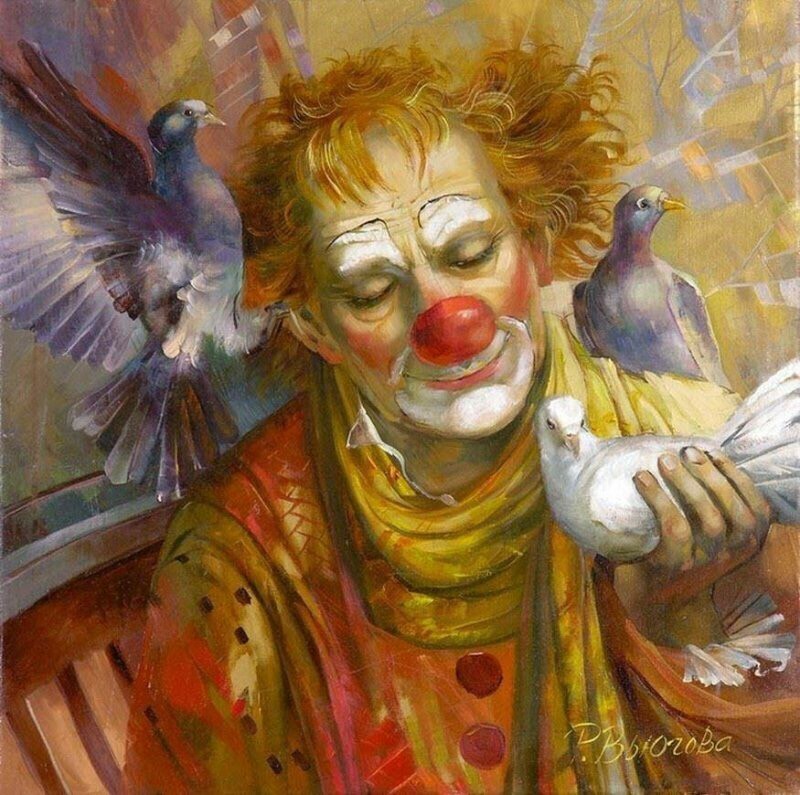 Are the recipients of the pigeons-peace so deserved that their actions are to be deemed clown-like?…or might this be a sign of the perpetrator of their hate-filled, ego driven, anti-peace disruptor is a wolf in sheep’s clothing or a clown after all? Souls on Ice thaw out!…we are in control and must come to the aid of like-minded sisters & brothers to rise to the cause of our humanity. Please check in with you so you aren’t forced to check out!